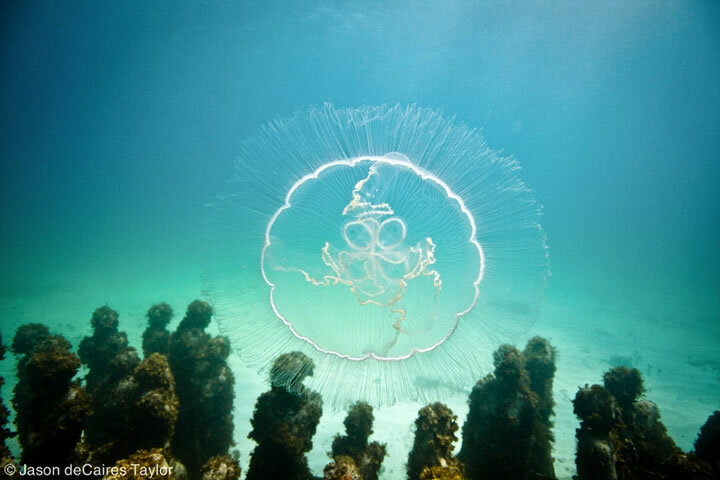 The Phoenix © J. deCaires Taylor. 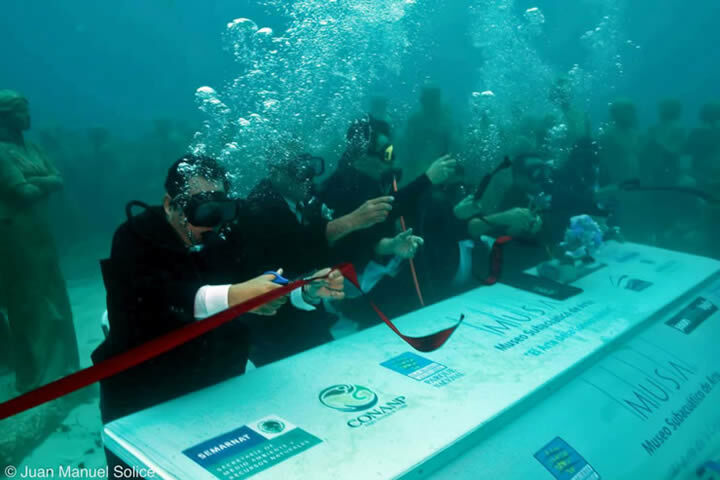 Installed in Cancun, Mexico, 4 metres undewater. 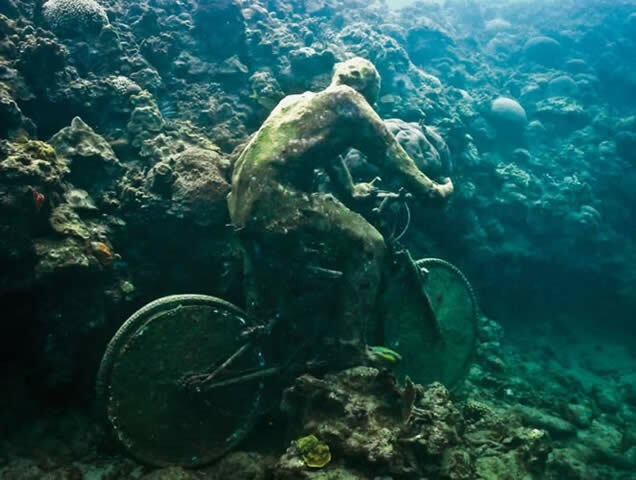 Jason deCaires Taylor is a sculptor who installs his sculptures underwater, where the sea life interacts with them and grows on them. 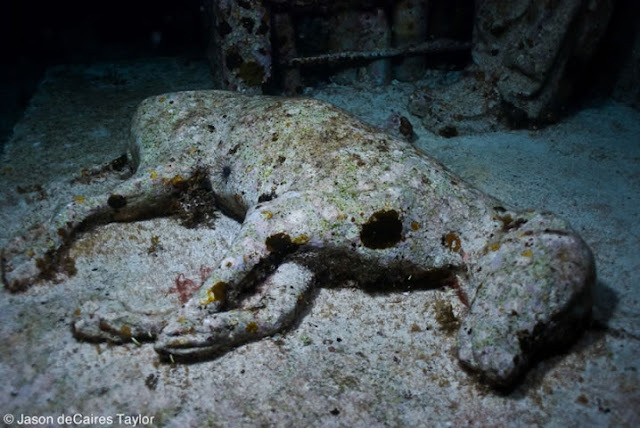 Several large installations are protected in an underwater sculpture museum in Molinere Bay, Grenada, which will develop into an artificial coral reef as time passes. 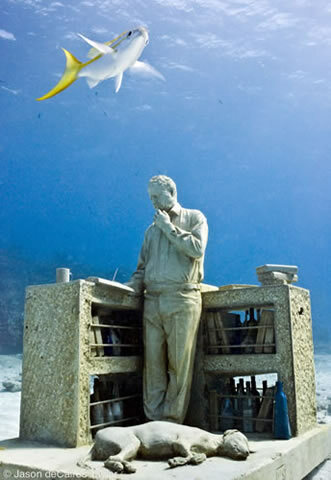 Another such park, the Museum of Underwater Modern Art (MUSA), is situated off the coast of Cancun, Mexico. 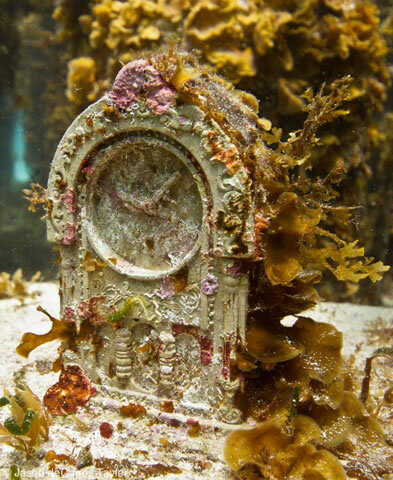 You can see the Gen X artist's fascinating gallery of environmental sculptures in dreamy underworlds here (Hat tip: Ghost Hunting Theories). As the sculptures evolve, deCaires Taylor, who has been exhibiting since 2006, ties together the major subtexts of the Millennial mentality: immortality and mortality; science and art; immutability and transformation; blindness toward, and embrace of, the natural world. All photos are from the artist's online gallery unless otherwise sourced. Photographs of the artist's installations are being shown at the Jonathan LeVine Gallery in New York City from 30 June-28 July 2012. See more images below the jump. 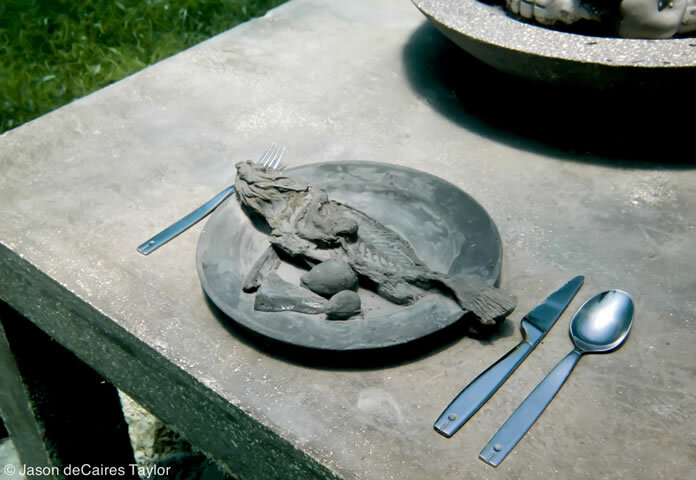 The Last Supper © J. deCaires Taylor. Installed in Cancun, Mexico, 4 metres undewater. The Gardener © J. deCaires Taylor. 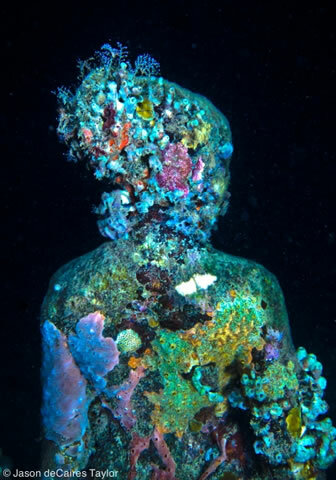 The coral grows naturally in the holes provided in the sculpture. Image Source: Wiki. 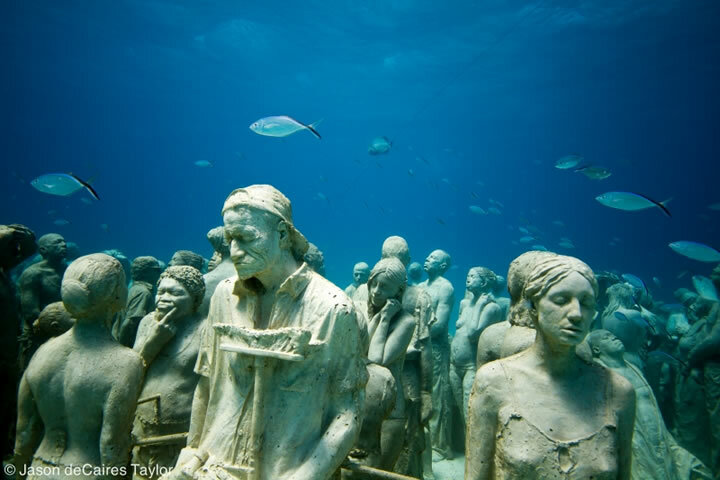 Vicissitudes © J. deCaires Taylor. Depth 5 metres, Grenada, West Indies. 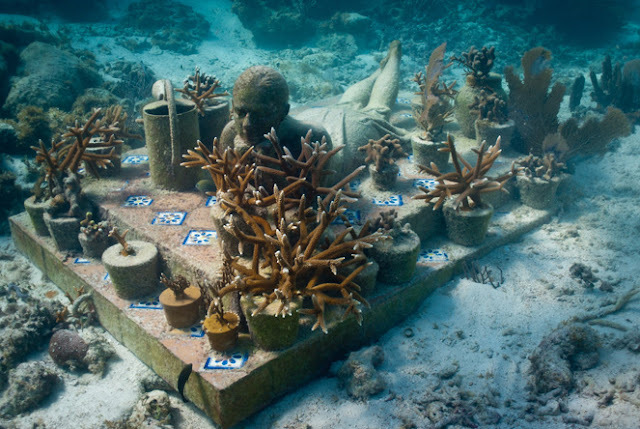 Grace Reef © J. deCaires Taylor. 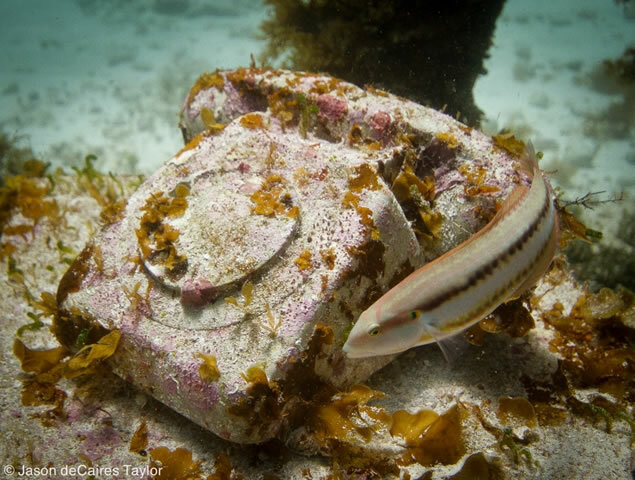 Depth 5 metres, Grenada, West Indies. Man on Fire © J. deCaires Taylor. Depth 8 metres, MUSA Collection, Cancun/Isla Mujeres, Mexico. 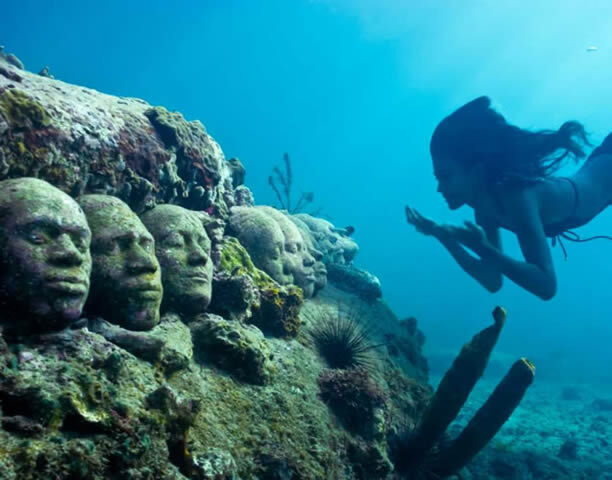 The Dream Collector © J. deCaires Taylor. 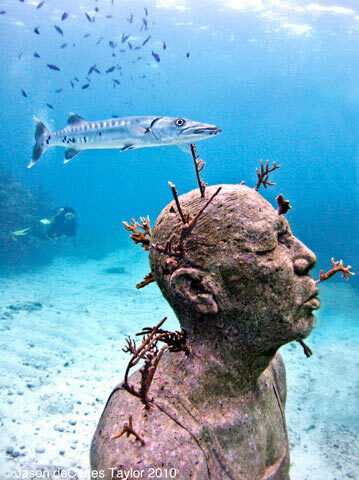 Depth 8 metres, MUSA Collection, Cancun/Isla Mujeres, Mexico. The sculpture has sealed bottles with written messages in a stone cabinet next to a man and his dog. Dream Collector © J. deCaires Taylor. 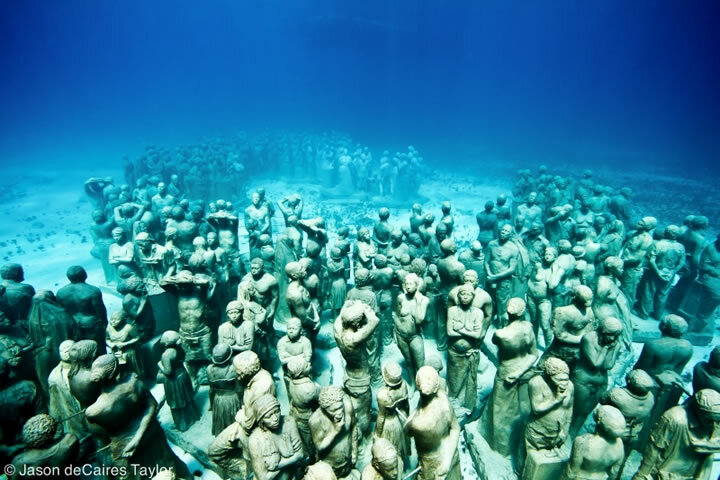 Depth 8 metres, MUSA Collection, Cancun/Isla Mujeres, Mexico. Silent Evolution © J. deCaires Taylor. 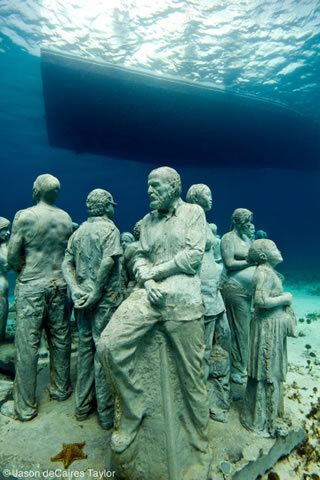 Installed in Cancun/Isla Mujeres, Mexico at a depth of 8 metres, MUSA Collection. Inertia © J. deCaires Taylor. Image Source: Wiki. TamCC Project © J. deCaires Taylor. Depth 2m. Grenada, West Indies. 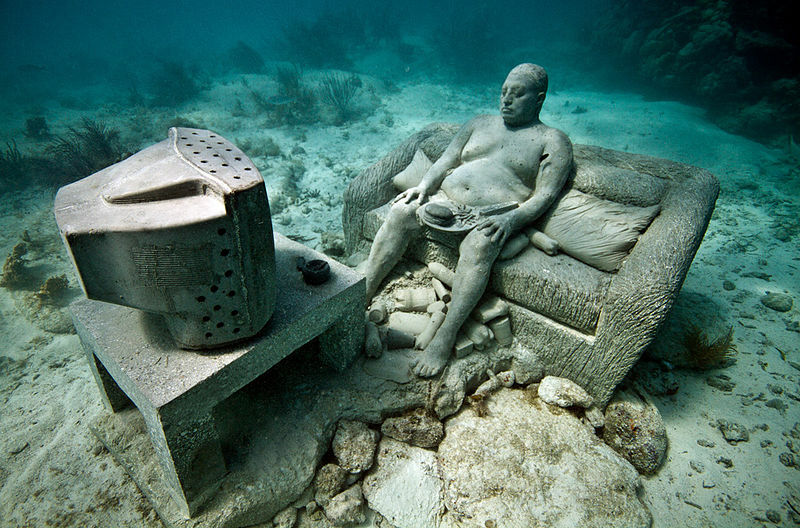 The Fall from Grace &copy; J. deCaires Taylor. Depth 6 metres. Grenada, West Indies. The cancun underwater museum has a lot of success and visitors,it is great to know it was done to preserve the reefs. 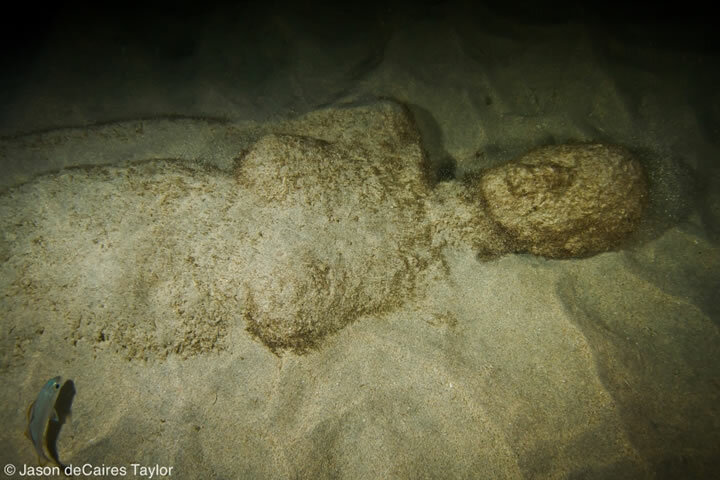 Here are some more photos and info for anyone interested in going there: Cancun underwater museum .